Home Quizzes Can you guess what will happen next with this RC Airplane? His dog is going to jump and catch the RC airplane in flight! He will drop the RC airplane, fall over it and his pants will catch fire! He will throw the RC airplane, it will make a loop and hit him in the head! 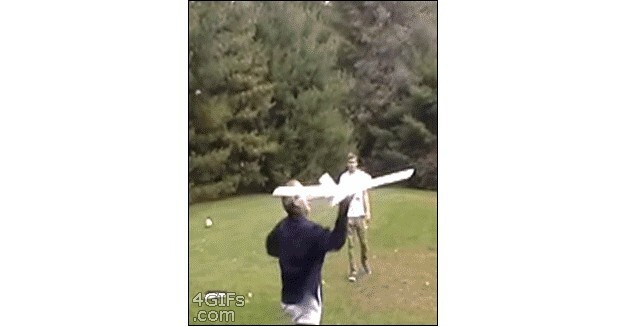 He will throw the RC airplane and hit his friend in the head! Previous articleLanding a MiG! Can You Guess What Happens Next?